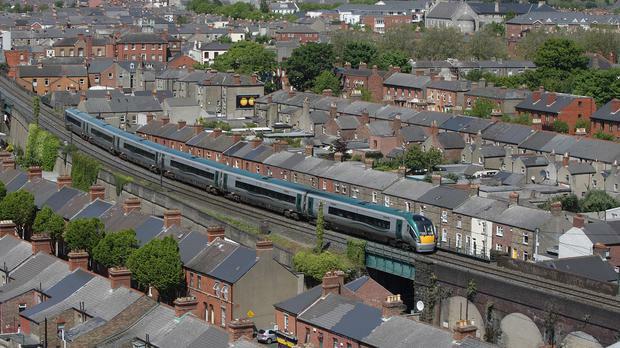 DUBLIN central city homeowners, the State's biggest payers of local property tax, are celebrating this week because they will see their Local Property Tax (LPT) bills cut next year, following the decision of city councillors to reduce the rate by 15pc. Fingal also voted for the same decrease. In the meantime home owners in County Cork will also have their bills reduced by 10pc in 2015 following that council's vote for a cut for residents. Councillors across all of the 31 local authorities across the State have the right to vary local property tax by up to 15pc from next year. However the local authorities also face a deadline of the end of this month to inform the revenue whether they will exercise their rights to make those cuts. But the reality is that Dublin home owners, and to a lesser extent those in Cork and Galway cities, are being sucker-punched when it comes to LPT. It is almost certain that under provisions which allows the removal of up to 20pc tax earnings away from higher earning councils, that all of Dublin's Councils and those of Cork City and of Galway City will see a one-fifth reduction in their total take. The money will be handed over to lesser earning councils. So already that will leave city property taxpayers technically out of pocket on the resources and services respend for 5pc of what they have stumped up. But the property tax outlook is even worse than that for those living in the capital. The Dublin city manager has pointed out that city councils currently require a serious amount of emergency funding to tackle a very real and growing homelessness problem (not seen since the early 1900s). The capital's councils really don't need to be handing over 20pc to those who require a few more streetlights on empty road stretches right now. They need the money to house families who are heading for life on the street as emergency accommodation becomes saturated. Dublin councils have most recently talked about providing prefabs as emergency shelter and there is now the grotesque and very real prospect that the Irish capital will soon have its very own "Hoovervilles." Ironically they will most likely be located on stalled development land which is present in buckets. Amidst this rising expense for Dublin councils comes a fast opening gap between property values in the cities (which make up around a third of the population) and in rural areas. A survey published this week showed that not only is the value of residential property in the capital now estimated to be worth almost the exact same as all the rest of the homes in the country put together (48pc as estimated this month by the Real Estate Alliance), but by May 2016 when it comes to recalibrating LPT nationwide, Dublin will have laboured under a housing shortage which has caused prices to rise at more than 1pc per month for three consecutive years. In comparison, the rest of the country is only now beginning to recover values. The shortage of homes apparent in the capital will not improve in the year ahead and despite a loosening of credit and the recent noises made by NAMA that it will develop 6,000 homes over two years. It will not make much of a difference in the tens of thousands required in the capital where demand is most fierce and competitive. What all this means is that the gap in home values between rural and city homes will have widened again enormously by the time it comes to recalibrating the property tax again for all homeowners again in 2016. Prices have already increased by 20pc in Dublin through the last year but by just 10pc in the country. Dublin has had similar increases through the previous year while the rest of the country saw falling or stalling prices. Despite the jubilance this week at the 15pc cuts in next year's LPT rate, the emerging picture suggests that by 2016 - the year when all property taxes are recalibrated, Dublin prices could well have risen by more than 50pc while those in rural areas will likely have hiked by about 30pc. The property tax gap that was already opened keeps growing. The reality is that, even with their reductions built in, Dubliners, who make up just 28pc of households nationally, will likely be paying more than half of the country's property tax by 2016. And that's not anything to celebrate. Four properties currently on the market in Laois, a county which is a good commuting option due to its motorways and train service.